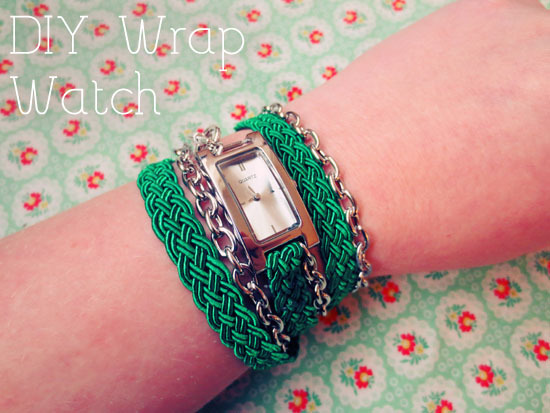 I really wanted a wrap watch. I love the look of them! The only problem is: my budget is not that big right now. So today I decided to make one myself. I had an old watch clock lying around so that was perfect for this project. Of course you could also use a cheap watch from the store. Hope you like this project! As many of you already know I really like to shop at thrift stores. I like to find vintage stuff or just stuff that I would normally pay a lot of money for and now get for almost no money. But some stuff I found there just ask for some updating. 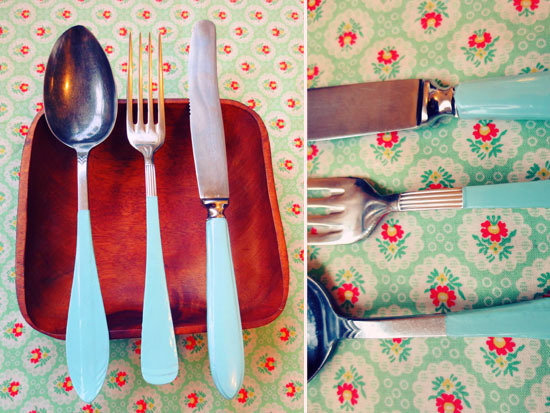 Like these mismatching cutlery. 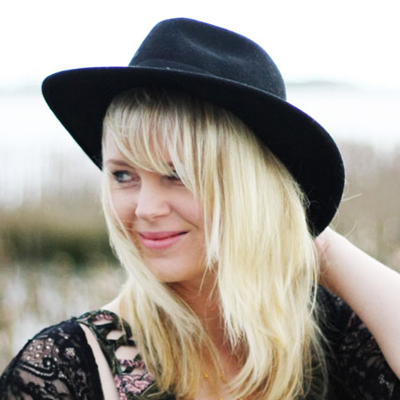 I love the vintage style. The spoon looks like it’s a birthday spoon. There is a date on the back: 12-1-1942. 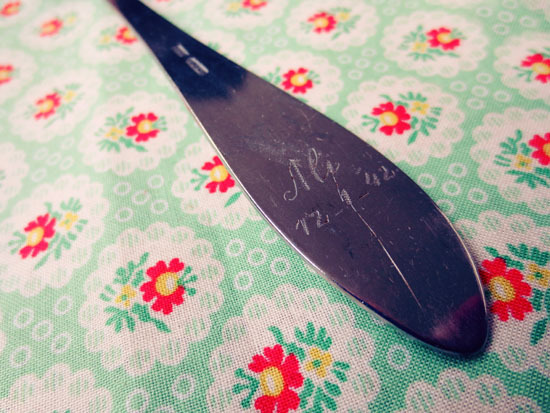 If it was a gift at birth than that makes this spoon over 70 years old! Love things like that. I only paid 10 Euro cents for each piece. To make it a set I have a very easy tutorial for you on how to paint the base of this cutlery with nail polish! Why nail polish you may ask? Well, it’s strong plus it gives the metal an enamel look. Love that! This DIY project features something that you can find in (almost) every thrift store: wooden curtain rings. I always see a lot of them when I visit thrift stores so today I decided to finally make a project with them. 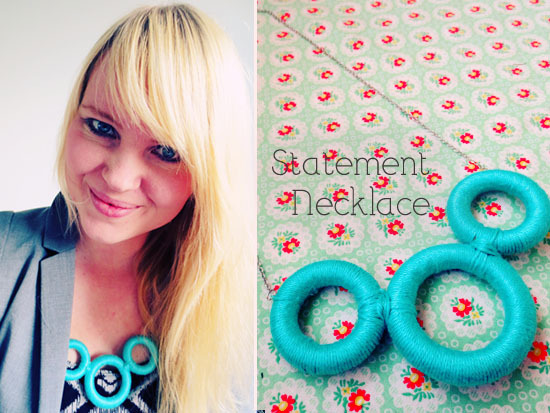 This necklace is really stylish and you can make it in every possible color! Hope you like it! I found this cool piece of baking equipment at the store. It creates a perfect hole in the center of a baked cupcake for filling with icing. It’s called a cupcake corer. 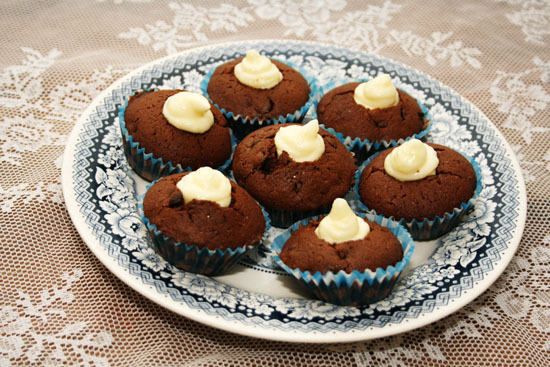 Of course I needed to try how it worked so I made these chocolate muffins with cream cheese filling. I loved it! It’s so easy and it makes the muffins a lot more special. 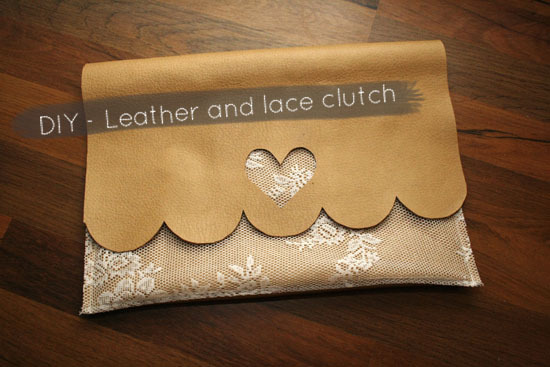 This leather and lace clutch with a scalloped edge is not only beautiful and fashionable but also very easy to make! You just need some basic sewing skills. 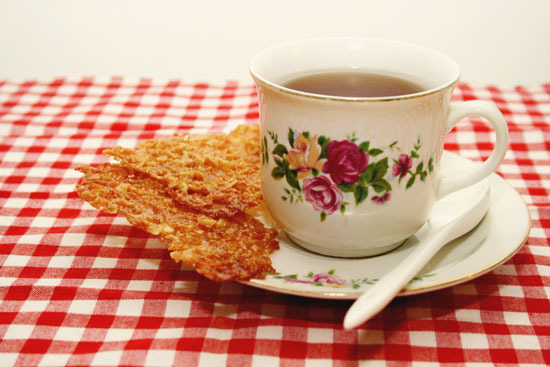 A Kletskop is a classic Dutch cookie. They are sweet but with a little darkness in it. You could garnish desserts with them or just with some tea. Kletskoppen look really delicate but they are very simple to make! 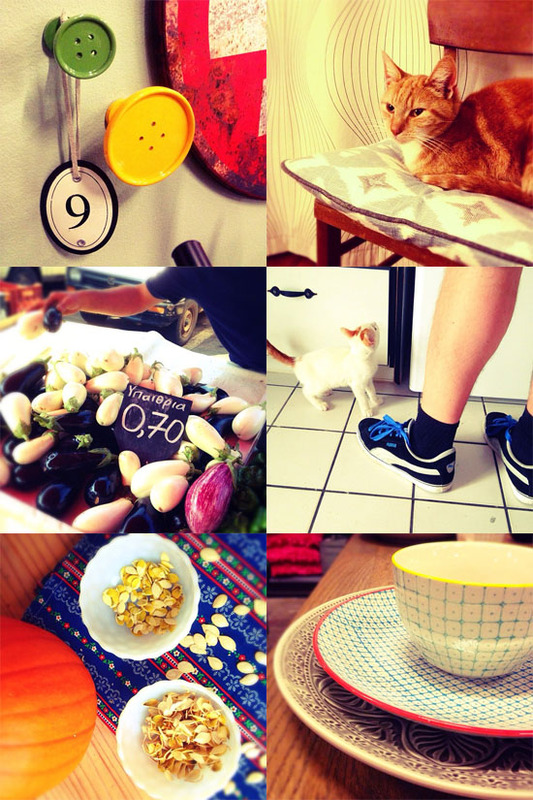 Today I’m sharing my recipe for Kletskoppen with you. Enjoy!